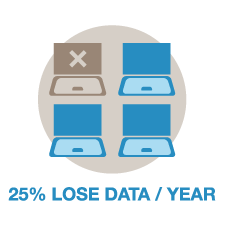 We can recover files from desktops, laptops and external hard drives as well as tablets, and some on-chip memory in smartphones. We can retrieve files that were accidentally deleted or lost due to device failure. With a satisfaction rating above 99%, we have proven to our customers that we are the place to go for data recovery. We Recover your data. We will get it back. Don’t be a statistic. 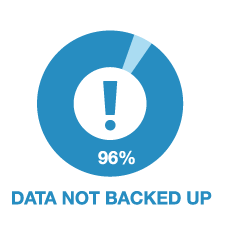 96% of all business and home stations are not regularly backed up. Call us, we’ll get it all back.